The Memory Box: A Book About Grief (available today!) helps children ages 4-8 and their families cope with the loss of a loved one. 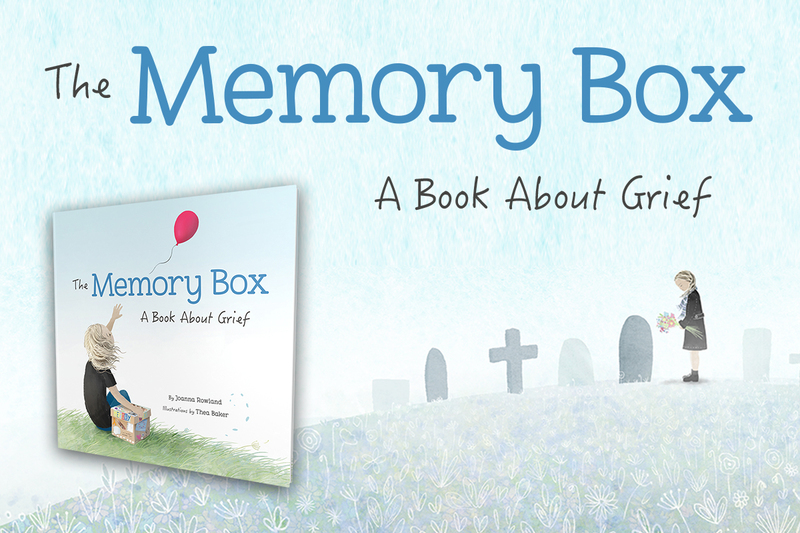 Written by Joanna Rowland, The Memory Box uses a unique narrative perspective to allow children to focus on their own loved one, and provides a practical activity--the creation of a memory box-- to assist in grieving. This comforting story helps children as they struggle with two difficult and common questions: "Will I forget you?" and "What do I do with my feelings?" Kids are reminded throughout the pages of this beautifully-illustrated book that love always remains alive. Joanna Rowland grew up in Sacramento, California, where she still lives today with her husband and three children. She teaches kindergarten by day and writes picture books at night. In the summer you'll find her at the pool coaching synchronized swimming or cozying up with a book.